We get it. You’re quite comfortable with your 2D design tools. 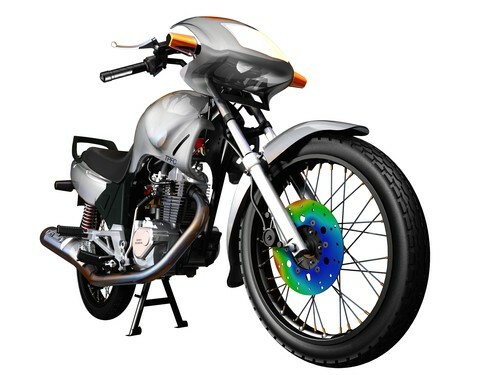 Over the years, you’ve become very proficient with these tools, so why transition to 3D CAD tools and deal with a potentially long learning curve and resulting downtime required to become as productive on a whole new set of tools? After all, “if it ain’t broke, don’t fix it,” right? The reality, however, is that you could be doing things better, faster, and in the long run, cheaper than you could ever do with your 2D design tools. By sticking with 2D CAD, you’re missing out on a wealth of advanced tools that will not only help you design better products faster but can give your organization a leg up over its competitors. With touted benefits that include shorter design cycles, streamlined manufacturing processes, improved communications and faster product rollouts, investing the time upfront to learn 3D will deliver big downstream benefits. Perhaps most importantly, however, is that adopting 3D CAD will afford you more time to do what you became an engineer to do: design and innovate. Not convinced? Let’s break it down for you and take a look at 9 things you can’t do with your existing 2D CAD tools. Speed approvals. One of the early hurdles in product development is getting the necessary approvals from management and/or customers to get started. Don’t linger in the starting gate. Using 3D visualizations or animations of concept designs helps non-technical folks quickly understand complex designs so you can get sign-offs faster. Change it quickly. Let’s face it; design changes are a part of everyday reality for design engineers. With 3D CAD, there are no manual updates in multiple drawing views every time a change is required. Thanks to design associativity, every change is automatically propagated throughout the assembly, wherever that part is used, speeding up design changes and reducing your risk of errors. Move it. Want to see how components in an assembly will move and interact with one another once assembled to check for interferences or collisions? Finding interferences in 2D drawings is time-consuming and difficult, even for the most eagle-eyed checkers. With 3D CAD, interference checking is automatic, and you can also put your models in motion to check for collisions between parts. Optimize it. Good engineers continually ask “what if?” Now answers to those queries are easier to find, even without a PhD and a white lab coat. Advanced, fully integrated analysis tools let you calculate forces due to motion, part stress, deflection, vibration, flow and the effects of temperature. Simulating those environmental factors is critical to identifying design flaws and pinpointing serious build problems—before you have to pay for them. Reuse it. Most so-called “new” products are in reality, modified versions of previous ones so the ease with which you can leverage or reuse existing designs is critical. When your parts and components are in 3D, making tweaks to existing products to create new configurations or versions is easy. Simply click on the part and change a dimension and all the related geometry on that part will resize automatically. Collaborate on it. Design review teams have expanded to include many non-technical members, such as marketing, sales, finance, and logistics. Trying to collaborate with them using 2D drawings can lead to misinterpretation and errors. Facilitate design collaborations by sharing a 3D model with which they can interact (rotate, pan, zoom, measure, etc.) intuitively, so they can easily understand how a product will function and add their input. Bid it. If you’re still responding to RFQs with 2D drawings of your products, you’re probably missing out on a lot of potential business since companies increasingly prefer to receive information in 3D. With 3D images and animations of your products, potential customers will not only better understand all the bells and whistles of your products but will be comforted by the fact that your design team is armed with the latest 3D design tools. Show how to use, assemble and troubleshoot it. As products become more complex, consumers are increasingly turning to your web site to find the necessary “how-to” support information for your product. Don’t turn them away by posting hard-to-decipher 2D product sketches. Using 3D publishing tools, assembly models can be quickly and easily “exploded” to create exploded views of product’s internal components and animations to clearly show users how to use, assemble or troubleshoot your product. Print it. Using your 3D CAD files, you can now quickly “print” one-offs or prototypes and models—driving down prototyping costs and getting them in your hands faster. Thanks to falling prices of both the materials and 3D printers, even small- to mid-size organizations can now bring the technology in house. So what’s the bottom line? Yes, there’s a learning curve associated with learning 3D CAD, though not as long as many 2D users fear. Yes, there will be some downtime in productivity in the short term. The good news is that there’s a light at the end of the tunnel and becoming proficient at 3D CAD will open up a world of integrated tools that will help you do your job better will enable you to focus on what you like most about being an engineer: designing.